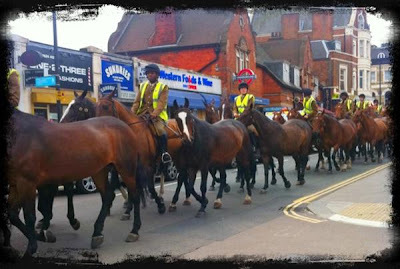 West Hampstead residents are fairly used to seeing horses clip-clopping their way down West End Lane. 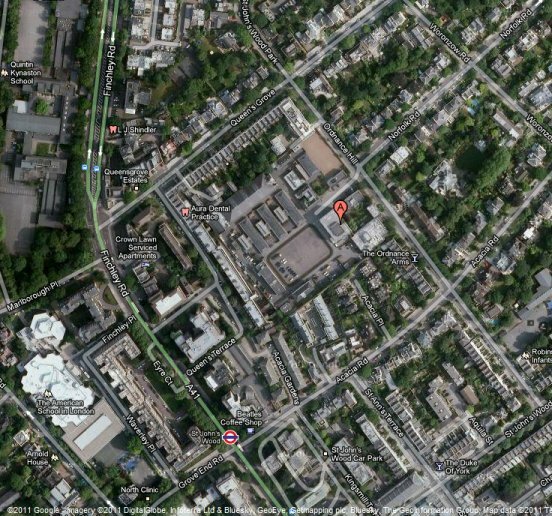 As most of us know, we are home to one of the Metropolitan Police’s eight stables. Almost every day the horses are taken out for a stroll around the area. Although this is primarily for exercise, it’s not uncommon to see mounted police stopping people – they are on duty after all. Less frequently, we see even more horses on our streets. 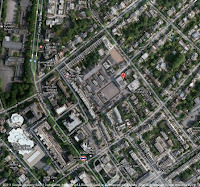 The King’s Troop Royal Horse Artillery is based at a barracks in St John’s Wood. The barracks itself is privately owned, but will close after more than 200 years in operation. The owners announced back in June that they were going to sell off the land, which is expected to fetch more than £250 million. The “troop” is often seen in convoy on Finchley Road, but this morning was spotted (and snapped by the aptly named in this case @cyberdonkey) heading north up West End Lane, prompting tweets ranging from “makes an amazing noise”, to “try and be more inconvenient”. They won’t be inconveniencing us any more once they move to Woolwich.